No one wants to lose their capacity to remember and to process information, but Alzheimer’s disease is prevailing in its grasp of people’s abilities to think. There are many signs of Alzheimer’s disease’s invasion, and once it invades, it has opportunities to expand its reach. Alzheimer’s disease can be slowed, but it cannot be stopped. Exercise more. Exercise creates movement in the body that blocks the advancement of Alzheimer’s disease. Avoid, as much as possible, stomach and ear medications. Some of them strengthen Alzheimer’s disease’s power. Partake in musical and artistic endeavors. They increase the body’s ability to pause the advancement of Alzheimer’s disease. Eat foods that are unfamiliar. Your activated taste buds can wake up extra defenses. Create memories by engaging in interesting activities. By using your memory’s network for storing new and interesting thoughts, the Alzheimer’s disease is divided. You can prevent Alzheimer’s disease before it develops by following the guidelines in this blog post: “Prevention of Alzheimer’s disease”. Note: This vital information has been bestowed upon us by Spirit. Thanks Spirit for sharing it through me! Alzheimer’s disease is confusing. Life becomes unenjoyable and challenging. Memories hide and knowledge distances. Likes and dislikes are buried so that decisions are difficult to make. Aromas that once delighted now waft by unacknowledged. Flavorful foods once desired now become bland. Alzheimer’s disease alienates family members and creates shadows. A shadow is a person who looks like someone who once existed, but exists in physical form only. Alzheimer’s disease is terrible. It is frightening. It is defeating. Alzheimer’s disease can be thwarted by eating nutritiously and appropriately for your body, avoiding unnecessary aids to the modern lifestyle, and connecting with others. Here are guidelines to strengthen yourself against Alzheimer’s disease’s confusion. The importance of social connections cannot be overemphasized. 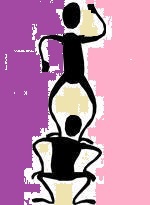 Interacting with other people is our natural state and is part of our health. Strengthen family ties, join community organizations, invest in friendships. The social connections are like a cocoon that envelops us in resistance to external stressors and internal wounding. For many people, stomach discomfort is avoided through the use of digestive impediments. Over-the-counter and prescription medicines are used for lessening or increasing digestive functioning. Not all medicines weaken the natural digestive processing, but some do, and their interference can lead to changes in sense functioning (taste, smell, etc.) that can then impact brain functioning. By listening to your body and knowing the foods that make it feel nourished and well, you can avoid stomach discomfort. The body can heal most internal upsets. The body’s healing requires patience and awareness. Many people want immediate healing and doubt the body’s abilities to heal itself. Some ear medicines weaken ability to communicate with the body and contribute to weakening of communication in the brain. Allowing your body to heal itself is the best path. Proper sleep, adequate water consumption, and healing foods usually restore health. The importance of using the brain throughout one’s life is known. Creative thinking is even more powerful than doing brain exercises. Creative thinking such as writing poetry, choreographing a dance, and designing a garden strengthen the mind and focus its functioning. Creative thinking doesn’t need to be done every day for it to strengthen the mind, but the more creative the endeavors, the more resilient the mind. These guidelines are general, but they provide important information if you are open to see it. Notes: This blog post is spiritually advised. It does not apply to other types of dementia. This blog post was previously posted in 2016. As described in the blog post “Alzheimer’s prevention–what you can do for yourself”, a person who is affected by Alzheimer’s disease becomes a shadow of him or herself. A shadow is a person who looks like someone who once existed, but exists in physical form only. The process of descending into a shadow happens over time. Throughout this process, the person sees life confusedly. This blog post presents the view from Alzheimer’s at near take-over point. The disease has not yet transformed the person into a full shadow. The curtain is blue, yes blue. I see blue. It’s a blue something—–blue tall. The woman opened the blue she opened the blue……. She talks to me she says she is Mollie, she is new here. The woman says she is NO she is not my daughter! My daughter has black hair. Orange juice. The woman gives me orange juice. Her face is new. Taste of juice is like coffee. I want coffee! Here is my dress. It is green , or red. With flowers and buildings on it. The woman says to put it on. Her hands help me put on my dress. I like my dress with its yellow somethings. The woman Mollie says something. Taste of juice. Something on the floor. Two somethings. Girl says put on my feet. Feet? Girl moves somethings on my spatulas. OWWW! Hurts my spatchufas! She takes them off. The woman lives in a home for dementia patients. Her daughter, Mollie, has come by on her daily visit. In the past, Mollie and her mother were very close, but her mother no longer recognizes her. Mollie thinks she sees moments of recognition, but she is wrong. The recognition left a few months earlier. 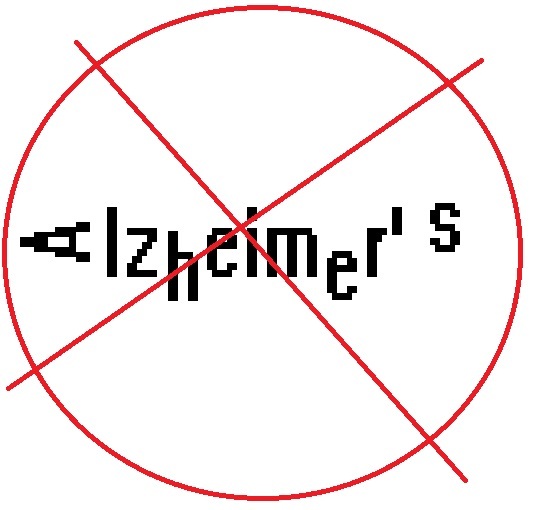 Alzheimer’s disease can be thwarted. Thwarting takes the belief that the body can heal minor inconveniences like indigestion and sniffles without outside chemical remedies that seem to hasten wellness, but actually weaken natural healing abilities. Thwarting takes building communal ties and a dependable social framework. Thwarting takes creative thinking throughout one’s life. Alzheimer’s disease brings an unwanted and miserable ending. Thwarting Alzheimer’s disease is worth the effort. Note: This blog post is spiritually advised. It does not apply to other types of dementia. Alzheimer’s disease is a relatively new form of dementia. It developed as people revised their lifestyles. In the previous blog post, Alzheimer’s prevention–what you can do for yourself, guidelines were presented for strengthening against Alzheimer’s. The guidelines were listed, but not in order of value. In today’s blog post, I am presenting the information from the previous post with the guidelines in the order in which they are most helpful. 4. Use your brain creatively. Caregivers want to know what to do for a family member or friend who experiences life through Alzheimer’s-tinted glasses. Here are tips for caregivers. Routines are very important now. A daily life that is routine will help keep confusion at bay. Aim to maintain routines and accept their importance. Physical touch is very important now. You, the caregiver, need the touch as much as the person does. Physical exercise is needed. Whatever physical activity the person did before Alzheimer’s should be maintained, except for exercise that is extreme or disorienting. If the person was not physically active, but watched a lot of TV, find TV exercise programs and encourage him or her to follow along. Plan for the future. A person who becomes confused several times a day will most likely become confused more often as time goes by. Consider how you will handle the change, and don’t wait until you are overwhelmed to make your decisions. Be realistic about your abilities to care for the person. At this stage, the person has lost connection to time and self. The caregiver’s perception about the person is influenced by their history. At this point, history is only in the mind of the caregiver, not the person. Releasing history, positive or negative, can help with caregiving tasks. Fill the person’s living area with color: colorful pictures, colorful fabrics, and colorful furniture. The colors bring pleasure to the Alzheimer’s-tinged mind. Fill the person’s day with music: radio, recordings, live–no matter. The music invites memories. Face the person. Peripheral vision is jarring for a person who sees through Alzheimer’s-tinged vision. Touch that is too unexpected is jarring for a person who senses contact through Alzheimer’s-tinged sense of touch. When touching him or her, stand in front and move slowly. Note: The suggestions about music, exercise, and planning for the future are frequently advised. This blog post is spiritually advised. It does not apply to other types of dementia.